Back in 1910, in the midst of the American meat crisis, the US government came up with the idea to import hippos for food. This is how the "American Hippo Bill" was introduced. 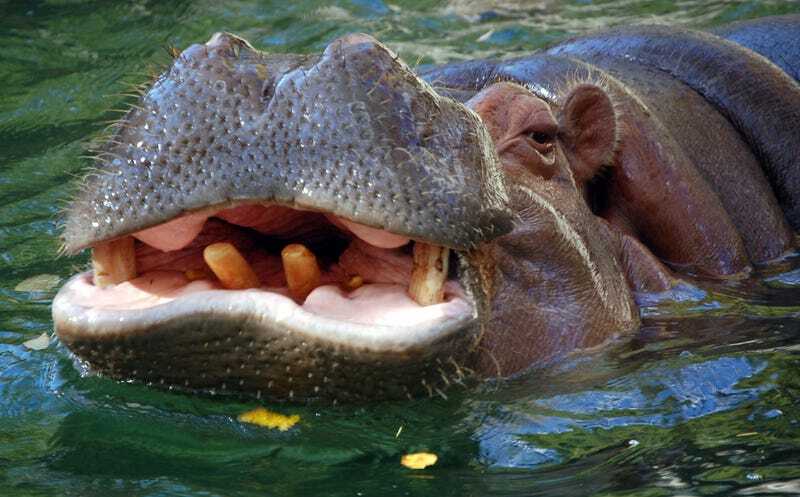 And now Bret Ratner and Edward Norton are turning this strange hippo story into a movie. Responding to a meat shortage in the U.S. in 1910, two bitter enemies joined forces to try and import hippopotamuses to the swamps of Louisiana and convince Americans to eat them. Even though Theodore Roosevelt and The New York Times endorsed the plan, the fact that you don't find hippo on the menu shows how well their campaign fared. Key to the movie is the rivalry of the hippo duo, both of whom were spies. Frederick Russell Burnham was a frontiersman and freelance adventurer whose exploits were the inspiration for the Boy Scouts, and he teamed with Fritz Duquesne, aka the Black Panther, a virtuoso con man and cynical saboteur who believed only in his own glorification and revenge. Burnham and Duquesne only recently had been under orders to assassinate each other, and they would return to being bitter enemies. But they took a break to try and get American hungry for hippos. I'm in; I would like to see the pitch for the "Hippo Bacon" that was allegedly being pushed all over the South.